carefully selected formula for the eradication of Helicobacter pylori organism, hence the management of both gastric and duodenal ulcers. accordingly, eradication of H. Pylori leads to radical cure of peptic ulceration and lowers the incidence of recurrence. Eradication of H. Pylori in patients with peptic ulcers with the objective of reducing the recurrence of duodenal and gastric ulcers caused by this organism. The usual dose of Helicure is 2 tablets / day (one in the morning and one in the evening) for two weeks preferably during meals. All ingredients are usually well tolerated. However some minor reaction have been occasionally reported e.g. nausea, dyspepsia, diarrhea (or constipation), vomiting, flatulence, abdominal pain, stomatitis, glossitis, headache, skin rash, taste perversion may also occur. However most of these reactions are mild enough not to justify discontinuation of the treatment with Heli-cure. Reversible tongue discoloration has been seen in clinical trials when Clarithromycin and Omerprazole were given together. contraindicated in patients with known hypersensitivity to any of its components. The safety dring pregnancy and breast feeding of infants has been established. So, should not be used during pregnancy and lactation unless the benefit is considered to outweigh the risk. 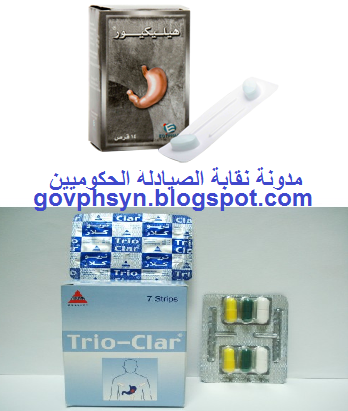 One of components (Clarithromycin) is principally excreted by liver and kidneys. Caution should be exercised in administrating to patients with impaired hepatic or renal function, However, dosage adjustments are not usually required except in patients with severe impairment.